Since 1990 the United Association's annual training program has grown from about 1,200 people to over 2,000 attending this year. 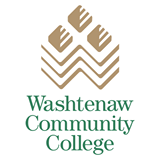 The growth comes as Washtenaw Community College also hosts the organization's Great Lakes Regional Training Center which offers several classes per month year round. Director of Training Chris Haslinger says people attending the training are able to share the latest technology and techniques with colleagues in their community, "How to be a better teacher, how to design classes, and also take technical classes in our area such as pipefitting, plumbing, HVACR." The training will soon include hands on experience with a new energy efficient micro-turbine. Haslinger says the U-A has built a good relationship with the college and the Ann Arbor area. Years of effort to bring more students to Washtenaw Community College are starting to pay off. WCC is reporting an increase of 2 percent in the number of students attending class fall. It is one of only five community colleges in Michigan to report increasing enrollment for the upcoming semester. Linda Blakey is WCC's Vice President of Student and Academic Services. She says multiple demographics are seeing a rise in enrollment. The Rotary Club of Ann Arbor wants to help a student who graduated from a high school in Ann Arbor - public or private - attend Washtenaw Community College. The "Service before Self" scholarship awards $1,250 toward fall and winter tuition. The application process includes writing a 250-word essay on how the applicant has served others in school or in their community. The deadline for applying is June 10th.